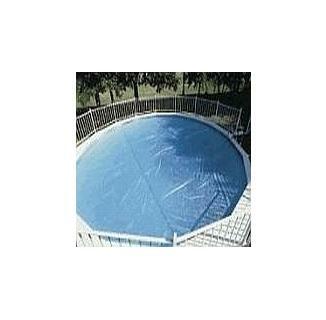 Use our new Magni-Clear™ above ground solar pool covers to heat your above ground pool faster. Our Magni-Clear above ground solar pool covers are engineered with air bubbles that act as an insulating layer, shielding your above ground pool from "heat stealing" winds and cool nighttime air. FREE SHIPPING! 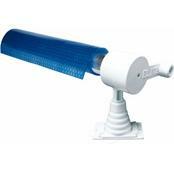 Try our top of the line solar pool covers today! GO GREEN AND SAVE! Use our new Magni-Clear™ solar pool covers to heat your above ground pool faster. 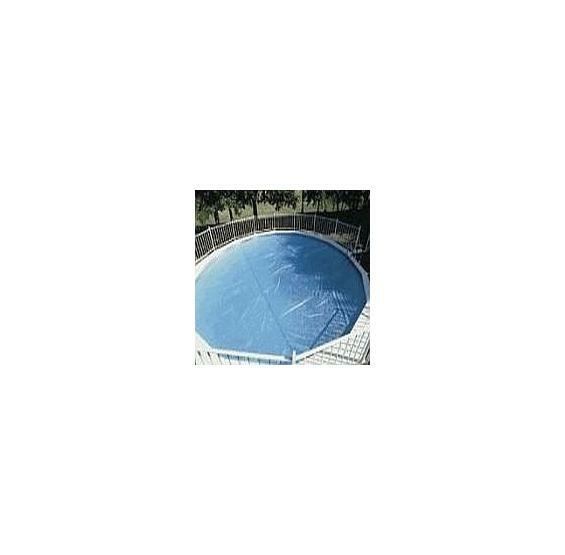 Our above ground solar pool covers are engineered with air bubbles that act as an insulating layer, shielding your above ground pool from "heat stealing" winds and cool nighttime air. In addition, our Magni-clear above ground solar pool covers allow more of the sun's solar heat to reach the depths of your above ground pool and heat it thoroughly. 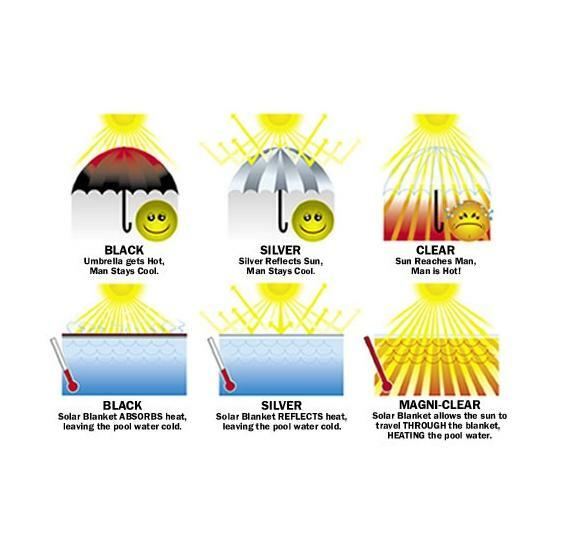 They are backed by a Magni-Clear Solar Above Ground Pool Cover 5-Year Warranty. These are awesome solar covers.I would never have thought a clear cover would work better than a dark cover, but let me tell you they do!! I used to pump water through black pipes on my deck to heat the water as well, however since i got a Magni-clear cover I don't mess around with that anymore. My cover is on if we are not using pool. We live just north of Pittsburgh PA and our pool is usually around 80 deg by memorial day. I RUN MY FILTER ON A TIMER AND RUN DURING SUN HOURS TO GAIN THE MOST FROM THE SOLAR COVER. Once we start getting to warm above or near 88 to 90 I run my filter at night with cover off to cool water then put cover on in morning to keep water from evaporating. This can be a pain but it saves water. We have a well and I don't use that water in my pool, and I have not ever had to buy water in the season. I HIGHLY RECOMMEND THESE COVERS. Our Magni-clear solar pool cover really works. This seems to be a higher quality solar pool cover than other ones we have had in the past. With cost to heat our above ground pool going through the roof, we think this pool cover been a good buy!